The latest gist in the Nigerian music industry is that Ayodeji Balogun aka Wizkid may be on the verge of making a collaboration with Akon as Banky W’s EME entertainment may soon go into a collabo with Konvict music CEO Badara Thiam Akon even as Wizkid prepares to do a remix of his hit single Don’t dull. Gist has it that Wizkid was performing live at an event in UK where incidentally the Konvict boss was also billed to perform. Akon watched Whiz Kid perform and immediately fell in love with the song. After the performance he was said to have walked up to Wizkid to announce that he would love to do a collaboration with him and that was how the deal was struck. Although the reports have not been confirmed by Wizkid or his manager, with all the collaborations that Nigerian artists are having with foreign musicians it might not be too surprising if the reports prove true. Tank god 4d worders of ur being bye. Nice one for him to collaborate with Akon, one of the best in the hip pop world. Dis is great! I believe u are still going to collabo wit T.pain if u perform well.& others. Oh my God dis is gud newz plz kip it up wizkid,blv me wen i say u stand the chance of being a legend. Good news. But stay away from girls. Focus your education and music career. wizkid, life is full of challenges and difficulties.believe in your self,be courageous and self determined and the sky is your limit.wish you the best in every thing you do. 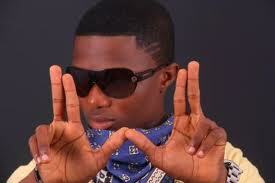 wizkid wao, God hav really bless you blieve me, more of this luck wil come your way very soon. But jst keep eyes 4rm girls cos day ar nt wat u think. My guy nice one & nice move,just keep your head cul n pray.you are gettin there.best of luck. Luck is like a butterfly,it goés where it pls & where pls it.am a raper,want som grease on my elbow 08162463106.keep it up,don’t dull. wizkid………………..! Hw re u doin abt ur skull stuff? Wizzzz keep ur good work frm grass 2 grace. wizkid u are too good just keep de girls going crazy am feeling ur swaggs noni. Hi man, keep it up wizkid but be careful, i’m happy for u dude.